Microsoft is working on building a HomeHub feature into future versions of Windows 10 to compete with Google Home and Amazon's Alexa-enabled speaker. Microsoft's HomeHub is still reportedly in planning stages and is expected to arrive with updates due in 2017 and 2018. With HomeHub, Microsoft not just wants to compete with Google Home and Amazon's Alexa-enabled Echo but also make it an integrated feature with Windows 10. WindowsCentral reports that HomeHub will be a software feature slated to release with Redstone 3 update in late 2017. The signs of its developments can be seen with the introduction of Cortana accessible from the lockscreen. Earlier rumours hinted at HomeHub being a dedicated device but now it seems Microsoft will make it a software feature available on almost every other Windows 10 device. Windows Central, however, notes that HomeHub will work better with all-in-ones and 2-in-1's since they offer touchscreen support. Microsoft is also integrating pen and ink support. Microsoft's HomeHub is also reported to get design elements from Project Neon, a new design language planned for Windows 10. The focus here is on introducing blur and cleaner user interface. With HomeHub, Microsoft's Cortana has a major role to play. Just like Google Assistant and Alexa, Cortana will be always listening for commands and can perform functions such as reminders, appointments, weather, news, jokes, open apps, etc. Cortana on HomeHub will be different from Cortana on Windows 10 and the icon will be surrounded by an orange colour instead of standard blue. 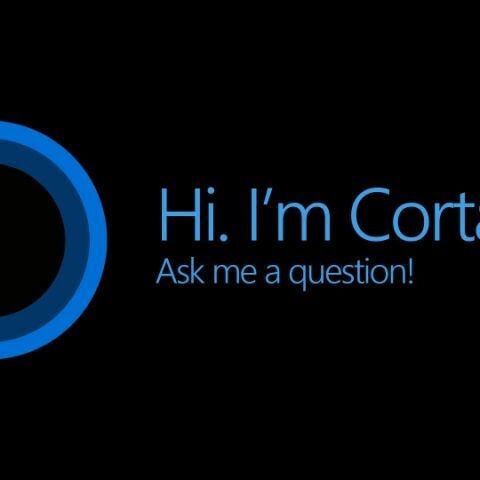 "Microsoft is looking at making Cortana more family orientated by making her understand the family identity," says WindowsCentral. The main focus for Microsoft with HomeHub is to create a family ecosystem. With Windows 10 at the core, Microsoft wants users to enable family accounts along with privacy controls and app sharing. With smart home emerging as the major trend in the industry, Microsoft has been largely non-existent. With Google and Amazon in the lead, Microsoft wouldn't want to be left behind.